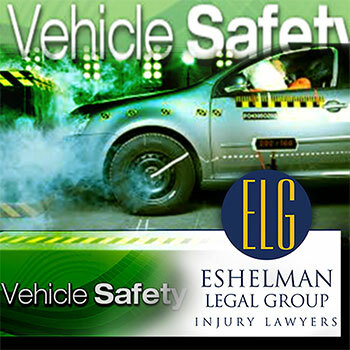 All car manufacturers promote safety features that are built into today's new automobiles. Features such as air bags, anti-lock brakes, seat belts, tire pressure monitoring, blind spot assistance, lane departure warnings, and more. These safety features are to protect us, our passengers and the other people who share the roads with us. However, safety features alone will not prevent accidents. Even with all the built-in safety features, it still comes down to the person that is operating the vehicle. The driver is the responsible party. Each of us has our own unique driving style. Some of us drive at a faster pace and allow less margin for error. Others are much more cautious and drive a little slower and allow more distance for sudden stopping. We all have our influences as well. Some of us when running late will try to make up the time on the road while others realize they are just going to arrive late and drive as they normally would. With winter coming fast upon us it is time to talk about inclement weather and vehicle safety. Road conditions and visibility are two important concerns when driving during the winter months. Snow and ice on the roads and your windshield can greatly hinder or alter your driving. With increasing snowfall and ice build up, your driving habits will have to adjust and allow for safer stopping distances. Your vehicle will need more road surface to stop when the roads have been covered with snow and ice. With the snow and ice, your tires do not have the friction needed to make a safe sudden stop. Many times a sudden stop on winter road conditions will cause your vehicle to slide and swerve uncontrollably, possibly resulting in a wreck. Your best defense is to drive slower, allow more distance in front of you, be aware of your surroundings and weather. Do not be in a hurry. Be sure your vehicle has plenty of gasoline, good wiper blades, windshield washer fluid, a good heater to defrost your windows, and good tread on your tires with proper inflation. Make sure all your lights work including your high beams and emergency flashers. It is also a good idea to make sure your cell phone is with you and fully charged when going out into the winter weather. Have proper clothing, a heavy coat, gloves, and boots, plus a few extra blankets along with a strong flashlight, and a few bottles of water. By being prepared for the worst situation, anything less, you know you are covered. It is also a good idea to be familiar with your vehicles owners manual in particular the safety section. If you do get stuck in the snow, call for help right away. You can call for emergency towing and alert the police as well. Call family and or a friend. Turn on your emergency flashers. Avoid driving when you are tired. If you are running late, it is better to arrive late than not at all. Sometimes accidents happen and seem unavoidable. Others could have been avoided by using wisdom and caution. If you do not need to be out driving in winter weather, sometimes just staying home is your best choice. Remember, be prepared, practice safe driving habits and allow ample time. 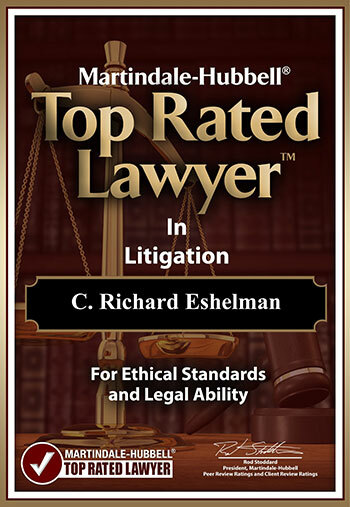 At the Eshelman Legal Group, our mission is to help injured people. That is our sole purpose. We go the extra mile and do whatever is necessary to accomplish that mission for our clients. We give moral support and help guide clients through this difficult time in their life. 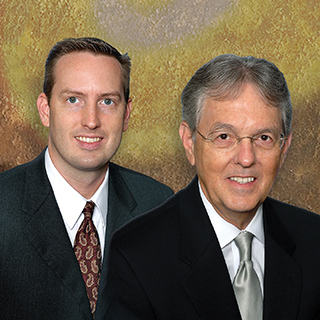 We understand that not every injury is devastating, but we do know that your injury is very important to you. It may be oversimplify it, but when I say our mission is to help injured people, that is exactly our mission.